For Female Gymnasts: Learning gymnastics skills is fun! It's even more fun being the first gymnast to perform a new skill in practice or competition! Every gymnast needs to stand out in competition and Flip Outside The Box can help you do just that. It's an entire book of creative gymnastics elements that can help transform your routines into truly memorable ones. There are also journal pages for a training diary or just for taking notes. Gymnasts will love this book! Imagine the possibilities and then make them a reality! 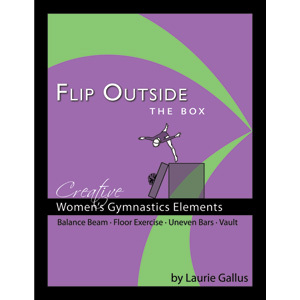 For Coaches: Flip Outside The Box will open the door to new and wonderful gymnastics possibilities! 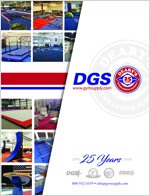 The era of cookie-cutter gymnastics can now be history by teaching the unique and creative gymnastics elements revealed in this book. A new era of creative artistic gymnastics is in the making. Your imagination will be stirred by this book, the first of a 3 book series. Flip Outside The Box will bring excitement and originality that has been so long in coming to Women's Artistic Gymnastics. Revolutionize the sport we love and take it to new levels of excitement, interest and glory with the aid of this book. You and your gymnasts will be glad that you did!